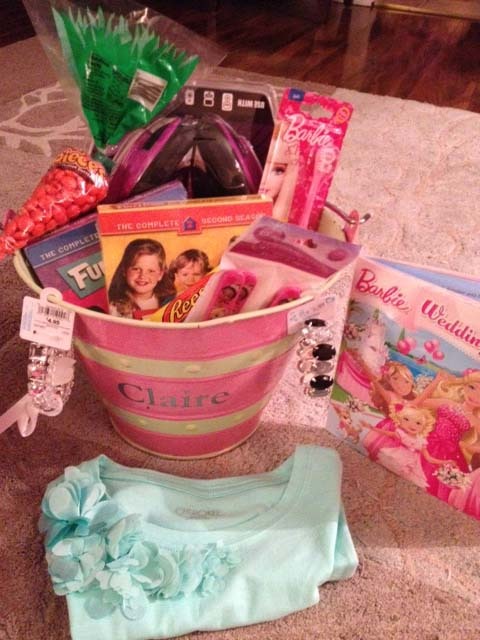 We had such an amazing Easter weekend! 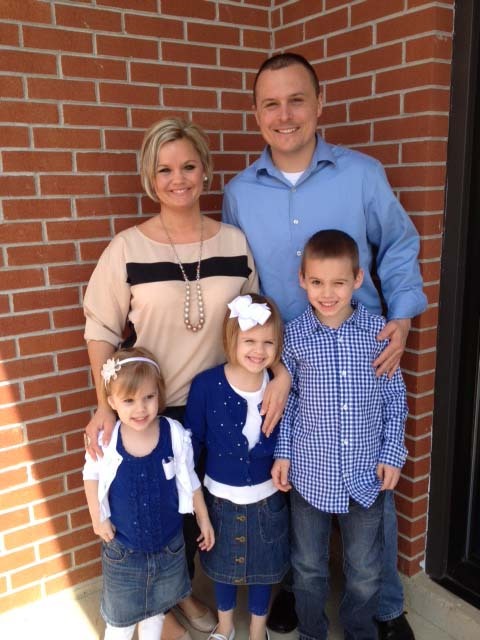 Sunday morning we went to Church and listen to a great sermon!God is so good! We had dinner at our house with my mom, her husband my mother in law who was in from K.C. 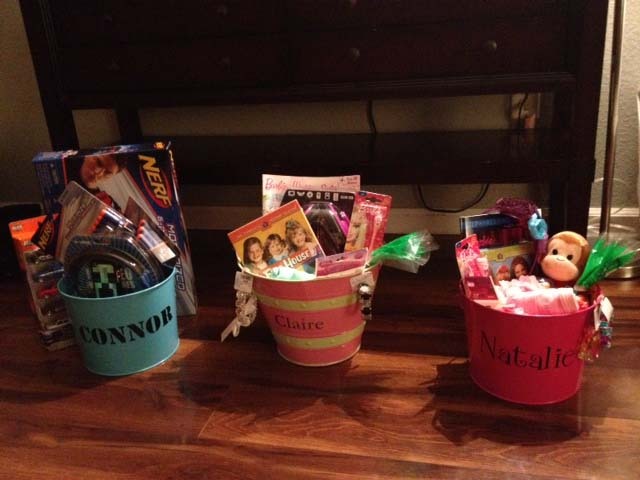 Also and my sister in law, sister, brother in law and nieces and nephews. We had a full house and loved every minute of it! This year instead of doing the typical egg dying we tried something new we found on Pinterest. 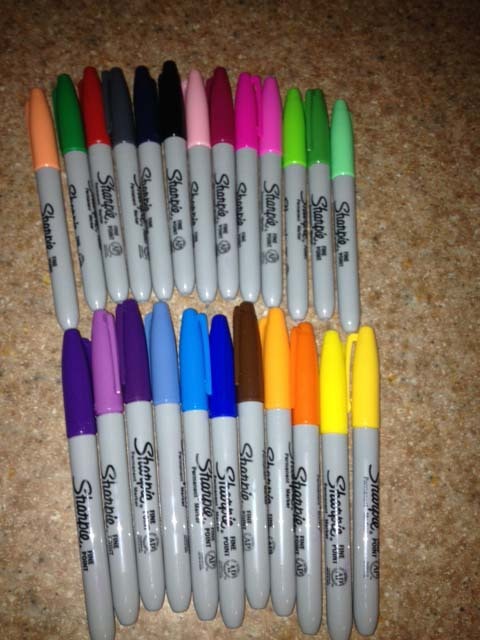 We decorated the eggs with sharpies. It was fun and the kids loved it. 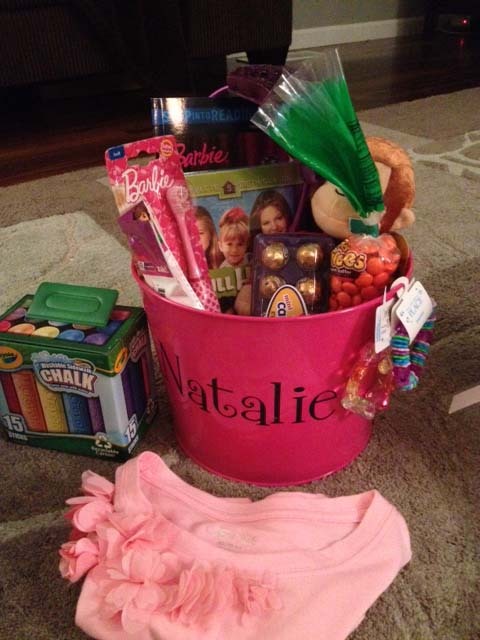 When Claire was a baby I ordered her a an Easter bucket with her name on it. It matches her room colors and I fell in love with it. 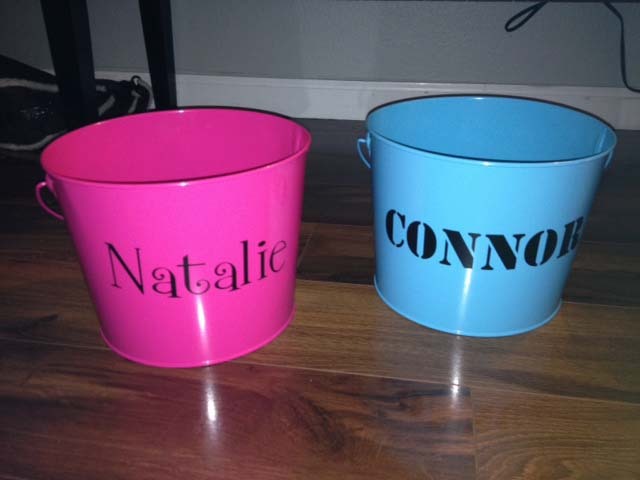 This year I bought Natalie and Connors buckets at Hobby Lobby and used my silhouette machine (I am slowly learning to use it) to put their names on them. I love how they turned out. 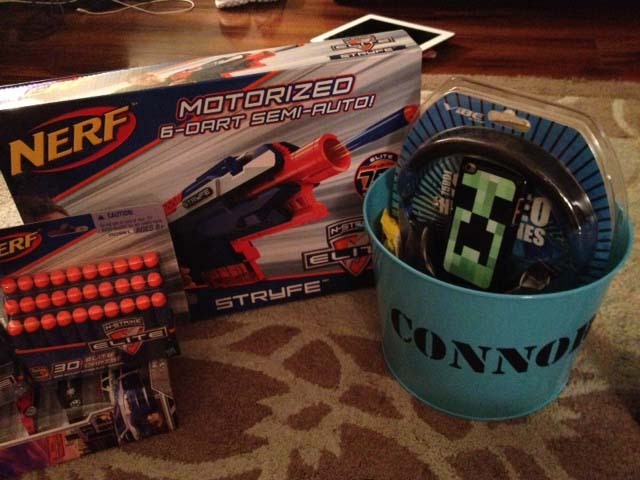 One thing Connor got in his Easter bucket was a Nerf gun and my mom also got him Nerf stuff. 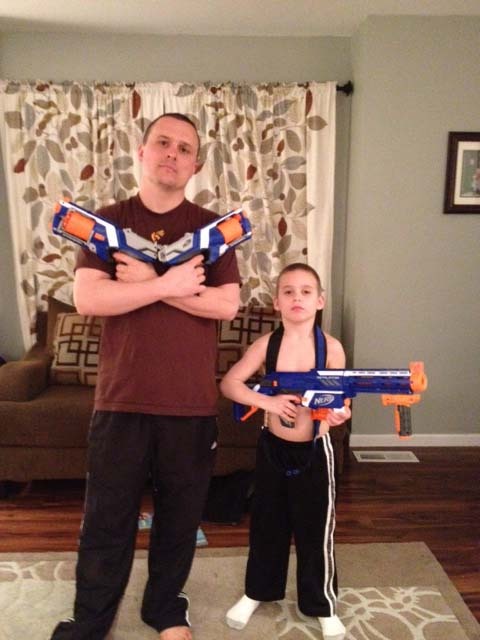 I now have two boys (husband) in this house playing war. It is fun to watch them but ouch those darts can really hurt. The girls got three seasons of Full House and we have been having a Full House marathon today. It has been Awesome. 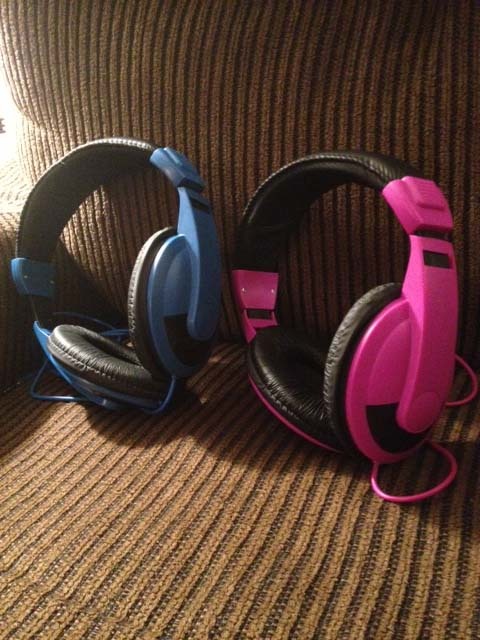 Also, another big hit was the colored headphones for the iPad, iPod and iPhones. So nice they can watch or play something while being in the dame room as the T.V.. 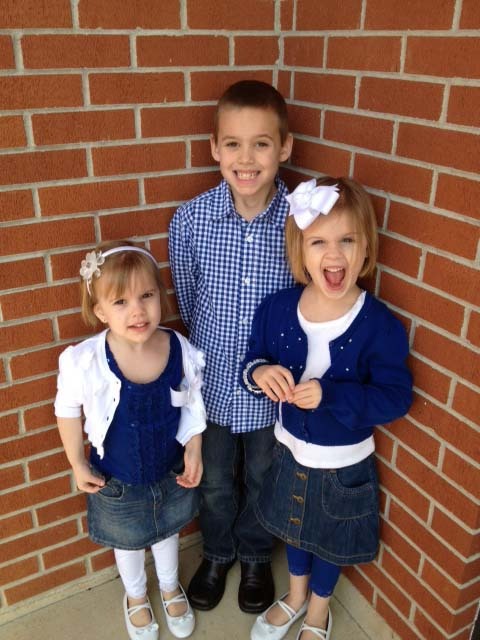 I hope you and your family had a wonderful Easter.